Year-end is the time to look back and to be happy from your achievement and learn from your mistakes. We always motivate and improve ourselves with this happiness and learning. 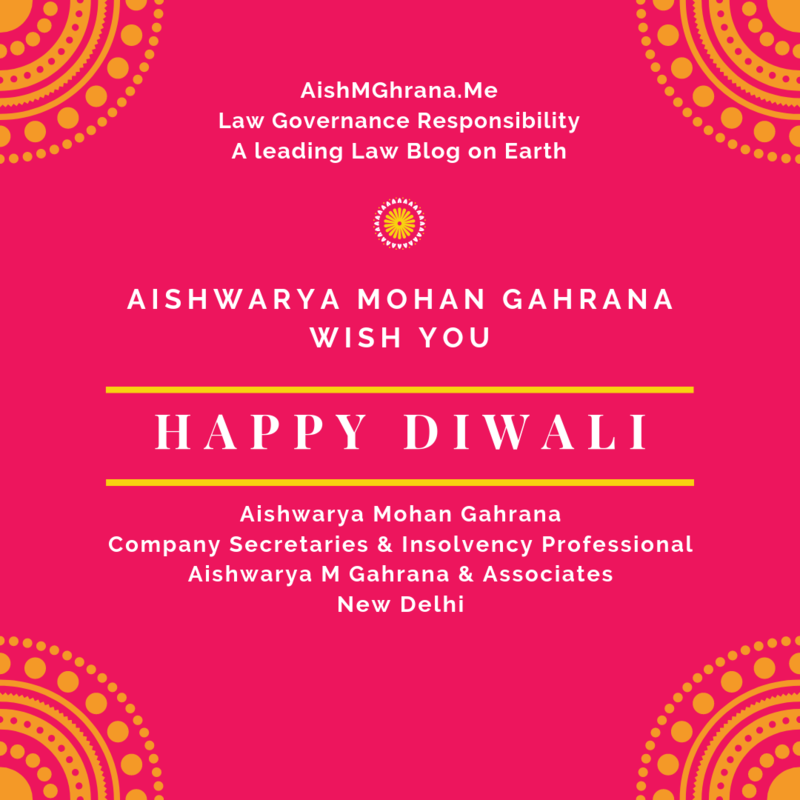 The blog “AishMGhrana – Law Governance Responsibility” regularly put here its annual reports for public information and sharing our happiness. Our readers are our assets. We are thankful to every reader for the long association since March 2011 and we seek your continuous blessing and patronage. Our readers can enhance their knowledge by reading this blog anywhere anytime on mobiles, tablets, laptops and desktops. You can always share any blog post. You can also initiate and participate in a discussion by using comment section given below the blog. We assure our readers that this blog has secured https protocol and completely mobile friendly. The blog is a participant of Accelerated mobile Pages (AMP) program of Google to ensure less mobile data consumption while loading. You can read the blog in the metro, trains, bus and in your office; it is not only a user – friendly and mobile friendly too. 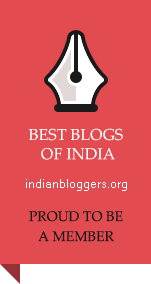 The blog was adjudged as one of the best blogs in India by Indianbloggers.org in category “law” first time in 2013 and it continues to hold this position. Indian Blog critics IndianTopBlogs.com listed this blog among best blogs on Corporate Affairs for years 2014, 2015, 2016, 2017 and 2018. The Feedspot lists this blog among “Top 100 Legal Blogs worldwide Every Lawyer and Law Student Must Follow”. This blog is among top 30 blogs on this list of the Feedspot. The Feedspost also lists this blog among “Top 40 Indian Legal Blogs and websites to Follow in 2019” where it is among top 15 blogs. The blog got about 3.97 lakh page views by 2.69 lakhs unique visitors in the year 2018. During the year, the blog posted 61 posts. The blog now hosts total 689 blog posts and completed 20.97 lakh page-views and 13.60 lakh, unique visitors. Most of our readers are resident of India and others are from all territories worldwide. Other than India; United States, Canada, Singapore, Malaysia, United Kingdom, Pakistan, South Africa, Kenya and Hong Kong SAR China was important territories with about 1,000 yearly views in the year 2018. Now 948 committed readers (against 845 last year) subscribed the blog to their email to get instant updates. You may also join mail subscription. 165 fellow blogger – readers (against 144 last year) read the blog on WordPress reader. The blog has 8,620 amazing fans and committed readers through various medium. Most of our readers landed here on the blog from Search engines. Few others were referred by Mobile apps, Social Media and friends. This year views using mobile phone increased sharply to more than 7,000. Though these figures speak themselves, we request our readers to use like and share buttons liberally. The blog time to time received many testimonials sent by readers. I request you all to share your experiences and feedback to us. Please join blog subscription over email from the homepage. Venezuela is one of the most prosperous countries in Latin America for decades, their oil reserve is significantly large in comparison to other countries nevertheless they are currently in the biggest economic crises of the 21 century. Venezuela economy is built on oil, which accounts for more than 90% of country export, 30% of GDP, its foreign reserve and imports of consumer goods are also substantially based on oil exchange. Venezuela former President Hugo Chavez is a firm believer of socialist economy and “Bolivarian revolution” he adopted a new Constitution in 1999 and form favourable fiscal and monetary policy in pursuance of achieving his so-called 21st Century Socialist economy model. Venezuela is oil abundant country since 1913 and always use its oil resource to leverage its economy, Hugo Chavez was benefited from the oil boom, when he took office in 1999, oil was $10 a barrel and reaching the peak of $133 a barrel in July 2008. On average oil account 60 per cent of government revenue, Chavez spent a substantial amount of government revenue on social welfare scheme and does not invest capital on other industry, he even does not create any sovereign reserve as a backup for oil price crash. When oil price falls sharply in the International market it exposes Venezuela economic mismanagement and drives the country to hyperinflation. Economic mismanagement is one of the biggest reasons behind Venezuela economic turmoil, Venezuela heavily relies on oil revenue and the government never tries to diversify their economy. Government Nationalization scheme is another reason for the current crises, Chavez administration wanted to get concentrated and unified power on every industry of the economy so they nationalize telecom, oil, agricultural and other major industry. After nationalization after nationalization labour productivity is declined by 59 per cent and corruption is also increased in every sector. Simultaneously Chavez borrowed external debt to fulfil their fiscal deficit and on investment on the social scheme. Chavez sells oil to Caribbean countries on below market price under the PetroCaribe program and also borrowed money against future oil export. Chavez expects oil price will continue to rise in near future and he can negotiate welfare expenses through oil revenue. When oil price starts declining in the International market, Government revenue is also starting decreasing to fulfil this gap of revenue and expenditure Chavez start borrowing external debt irrespective of the fact that Venezuela does not have any means for the repayment of debt. On 2013 Hugo Chavez dies because of cancer and his successor Nicola Maduro entered into the office, he inherited an economy with many loopholes and with a big problem, rather than solving he inflate problem with the overvaluation of currency and with printing new currency. Venezuela economy is now in debt trap Venezuela debt represent 50 % of international reserve, until recently Maduro Government had committed to repaying its debt in spite of the fact that they have limited resources and foreign reserve, fearing the legal challenges from creditor in US jurisdiction and seizure of Venezuela assets in the United States, including CITGO (oil company owned by PDVSA), oil shipments, and cash payment for oil. President Maduro on November 2, 2017, announced that they would seek to restructure of its debt, Government would try to restructure their Sovereign bond and PDVSA bond these two bond amount 60 % of the whole Venezuela external debt and restructuring of the same would be a very cumbersome task. Economist speculate that administration will try only to restructure their Sovereign bond, not PDVSA bond because of two reasons firstly Venezuela oil is sold by PDVSA and if in the stage of negotiation any bondholder sue PDVSA then it might affect the whole economy, and secondly Sovereign bond does not have collective action clause that permits a super-majority of holders (75%) to agree to a restructuring and that decision become binding on minority bondholder, so in absence of this clause restructuring of PDVSA bond would inevitably be a messier affair. But my view is contrary, because of several reasons are given below. If the government goes for the restructuring of PDVSA bond then they had more bargaining power because indentures may be amended with the consent of only with a bare majority of holder, so government had more option and they will also engineer the terms of a new bond (which represent the restructuring condition) as per the requirement of specific bondholder. PDVSA bond also contain change in obligator clause, as per Section 10.02 of PDVSA bond obligation of the payment can be changed with the consent of a simple majority of the holders of each series of bonds, so if some creditor opposed the restructuring process then government may change the obligation for payment from PDVSA to a newly incorporated company let’s call it “New Infra”. Minority bondholder will join the restructuring process seeing that New Infra is an entity that lacks resources to make any payments. PDVSA bondholder also has limited individual enforcement rights, Standard U.S style trust indentures vest the primary responsibility for enforcing the indenture, the exception to this rule is that bondholder only sue for his principal and interest amount only after the due date, the enforcement of accelerated amounts remains the responsibility of the trustee. So PDVSA bondholder sues only on the event of default and only for their respective amount. Taking these things into consideration Venezuela can restructure their PDVSA bond. The government also needs to restructure their sovereign bond, the good news with sovereign bind is that they have the collective action clause so the decision of the majority of bondholder will be binding on the minority bondholder and they have to agree with the restructuring condition. It is speculated that Venezuela in the restructuring will use the principle haircut technique in the restructuring but in my view, the country economy is not in the situation to leverage the debt so they should ideally go for the extension of the maturity period. Countries like China and Russia may also impose hurdle in the restructuring process, USA already imposes economic sanction on Venezuela and stop their citizen from accepting any kind of new bond in the restructuring process. Venezuela is going through big economic crises and only recover from this situation if they get financial assistance from international organizations like IMF. Venezuela also needs to apply the process of debt restructuring more wisely. With Four Notifications; S.O. 351(E) dated 23rd January 2018, S.O. 630(E) dated 9th February 2018, S.O. 1833(E) dated 7th May 2018 and S.O. 2422(E) dated 13th June 2018 most provisions of the Companies (Amendment) Act, 2017 (1 of 2018) come into force. Here is a bird’s eye view.